The Club welcomes new members to join. 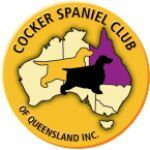 You do not need to be a breeder or show your Cocker Spaniel to be a member of our Club. Our ranks are small, and we hope to grow our membership base over time. If you are interested in joining, you do not need to be active in the Club. Your membership, even if you are unable to attend any meetings or events, helps us continue. The Club membership form is available as a PDF file to download here. Complete the form, and return via email or post and you can pay your membership fee via direct credit. Memberships are passed at our Meetings held bi-monthly and renewal every year.